Rookies, career minor leaguers, veterans and non-roster invitees all vie for positions as the rosters are trimmed leading up to Opening Day. This crucible of competition for all but the established players is one of the things (along with plenty of sunshine) that draws fans like myself and my buddy Ron to the annual spectacle that is spring training. While the games don’t mean much, the battles within the game serve to shape the teams we’ll be living and, in the case of Ron, a life-long Royals fan, dying a little with over the next six months. These battles are waged on both offensive and defensive fronts, and although the atmosphere in the Cactus and Grapefruit leagues may appear relaxed on the surface, the media, fans, and particularly the coaching staffs are keenly aware of every move made as players take their cuts in the cage and field thousands of ground balls. During this process, observation has primacy and what a player did last year or for the last few years takes a back seat. And while I wouldn’t want to change this process and the hope that it brings to players and fans alike, increasingly in this information age front offices around baseball are beginning to realize that these decisions needn’t be left soley to subjective interpretation. And nowhere is that kind of objective analysis needed more than in the area of fielding statistics. We needn’t enumerate all the reasons traditional fielding statistics are problematic since most thinking fans understand this intuitively. But in a nutshell, they focus on plays the fielder did make and are silent on ones they didn’t, and the latter turns out to be of much more consequence than the former. Over the years various systems like Range Factor (RF), Zone Rating (ZR), Ultimate Zone Rating (UZR), Probalistic Model of Range (PMR), Davenport Fielding Translations (DFTs), and Range have been developed to deal with this issue. All of them were nicely reviewed by David Gassko, the inventor of Range, in a recent article here at THT. And while I appreciate all these systems, what they lack—with the exception of RF since it is easily calculated from basic fielding stats—is a certain transparency. Enter John Dewan’s newly published Baseball Info Solutions (BIS). Throughout the season, BIS inputs the direction (with the field sliced up into 260 vectors), distance (for balls hit to the outfield), speed (soft, medium, and hard), and type (ground ball, liner, fly ball) of every ball that is put into play. From this database they can figure out how frequently various fielders make plays on very specific types of balls—and that is the key. For example, as Dewan explained in the introduction, they compute that softly hit groundballs to vector 17 are converted into outs by the shortstop 26% of the time. Therefore if a shortstop makes that play, they credit him with +.74 (1.00-0.26). If he doesn’t make the play, and neither does another fielder, he gets debited -0.26. Add all of this up and what you get is the number of balls plus or minus with which a fielder can be credited—what Dewan calls the Plus/Minus System. There are additional adjustments for corner infielders and outfielders that give them more credit for making plays down the line or in the gaps that would have resulted in doubles or triples rather than singles (Enhanced Plus/Minus), as well as adjustments for hit-and-run plays for middle infielders. In addition, they track how infielders perform on bunt plays and double plays, as well as throwing for outfielders. By breaking down the system into balls hit to the left or right of and straight to the fielder, in addition to ground balls versus balls hit into the air, and doing all of that for 2003-2005, you can get a pretty good picture of the defensive abilities of a player. Oh, and I forgot to mention that Bill James includes a new version of Range Factor, called Relative Range Factor, that attempts to correct the biases inherent in RF because of the groundball tendencies of a pitching staff or the mix of right- and left-handed pitching, and Dewan updates his Zone Rating to factor out double plays and balls fielded outside the normal zones for fielders. The essay by James on the comparison between Adam Everett and Derek Jeter is also required reading for biased Yankees fans everywhere. This is all great stuff of course. But I think what I like most about the book is what James points out in the introduction—this book snaps a plumbline for advanced fielding statistics. As a result, although the analysis isn’t complete and doesn’t include translations from the Plus/Minus System into runs for example, this book becomes part of the record from which future analysis can grow. I liken it to the baserunning data James included in The Bill James Handbook 2006, where he laid out the data on runner advancement without providing a great deal of analysis. Others may have taken that analysis further, like James Click or me for baserunning, and David Pinto, Michael Lichtman, and David Gassko for fielding, but the publication of this data in a published and easily accessible format goes a long way towards taking the analysis itself mainstream. And in the end that should be one of the goals of the performance analysis community as a whole. But enough philosophizing. What does TFB show us? 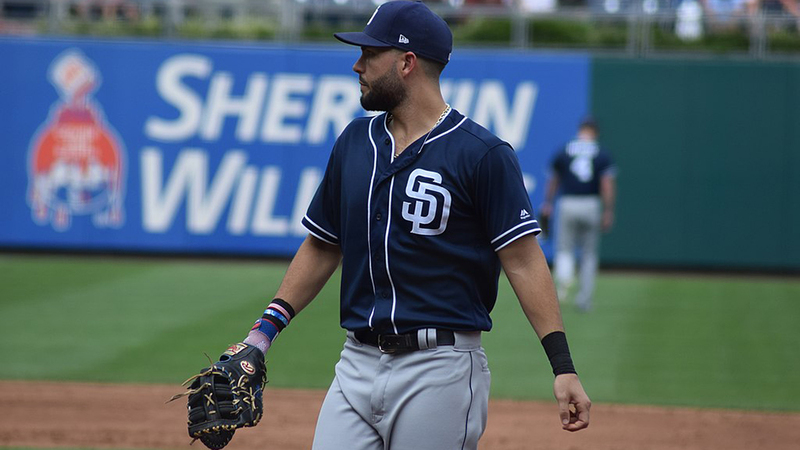 Although it’s still very early in the spring, the situation is complicated by the fact that Vidro appears healthy for the first time in two years, and he played without pain in his right knee last Saturday in his first spring training game. An ankle sprain sidelined Vidro for two months, and a knee injury in September required offseason surgery. Many speculated that perhaps the controversy would take care of itself if Vidro proved unable to play. Maybe not. But does Soriano have a leg to stand on in his desire to remain at second? Below are the totals as shown in TFB for both Soriano and Vidro at second base over the last three seasons. Neither performed better than average. Soriano fielded 40 fewer balls than would have been expected, while Vidro fielded 20 fewer. But Vidro did so in a context of a little less than half the number of expected plays made, as you can see from the year-by-year breakdowns. Although Soriano is a year younger than the 31-year-old Vidro, Soriano appears to be regressing faster than his competition, particularly on balls to his left (+6, -6, -23 in the past three years). The other interesting thing about the first table is that it shows that while Soriano may have trouble particularly on balls to his left, he is a bit above average in fielding balls in the air. Conversely, Vidro goes well to his left, not so much to his right, and is worse on balls hit in the air. Of course some of this is also influenced by positioning, although one could argue that positioning is also a key component of manning the position. Not shown in this table are the double play opportunities. Soriano converted 49.3% of his 558 chances from 2003 to 2005, ranking him 16th, while Vidro converted 47.9% of his 336, ranking him 20th. Although included in overall double play opportunities, TFB also separately ranks second basemen on making the pivot. Vidro ranked 22nd, doing so 59.4% of the time while Soriano ranked 19th, doing so 61.1% of the time. It’s certainly the case that Vidro’s numbers have been influenced by his injury, but even so the difference between them defensively may not be as great as some make it out to be. When Vidro was mostly healthy in 2003 he ranked just 16th in the plus/minus system and 28th in converting double plays. But even if Soriano continues to slide, the difference is probably in the range of 25 balls, with Soriano still likely having the edge in double plays. While he may be able to play the outfield, the other factor in play here is the value his offensive contribution has in relation to his position. Soriano benefited from playing half his games last season in Arlington, where he hit .315/.355/.656 and just .224/.265/.374 on the road. As a result his numbers at RFK, and therefore his perceived value, will likely fall, making him a much less valuable outfielder than a second baseman. In Chicago the situation is the reverse of that in Washington. In Mesa this spring you have three players who all actually want to play second base—well Neifi Perez may not prefer it and will likely log lots of time at shortstop if youngster Ronny Cedeno even stumbles a little and Dusty Baker relegates him to the bench. Incidentally, Perez was an impressive +20 at shortstop in 2005, ranking him fifth while his offense…well, let’s not go down that sad road. Todd Walker is the incumbent, having logged 93 starts there in 2005 while Jerry Hairston, Jr. started 36 games and Neifi Perez 18. So far this spring Hairston has been working exclusively at second base and getting some tips from Hall of Famer Ryne Sandberg, while Walker has been slowed up by a knee injury suffered last September. Here is the same table comparing the 2005 performances of the Cubs second basemen. With the smaller sample size for Hairston, also coming off of leg injuries the last few seasons, it may be difficult to compare, but what can be said is that Walker’s defense has improved (-16, -4, -2 over the past three seasons) and he has become a capable, if not stellar, defender. He appears to have a bit more trouble with balls to his left than to his right and is sure-handed on balls hit to him and in the air. For Walker, what is clearly his weakness is his ability to turn the double play, as illustrated here. Hairston hasn’t logged enough time at second over the past three years for inclusion in TFB, but in 2005 he was 22 of 40, which would have ranked him in the top half of second basemen. Overall, over the course of a full season we can probably project that the difference between Walker and Hairston is at most only a handful of balls fielded but perhaps as many as 20 double plays. Once again that has to be balanced with the offensive contribution, where Walker clearly has the edge with his .305/.355/.474 2005 season against Hairston’s .261/.336/.368. In a full season Walker’s additional Isolated Power would more than make up for his defensive deficiences. But given his own injury history, the Cubs will probably be glad that both Walker and Hairston are available. An interesting strategy supported by this data, although one not likely to be implemented by this Cubs regime, was proposed by The Cub Reporter, where Hairston would start when groundballers Greg Maddux (1.81 GO/AO ratio in 2005) and Carlos Zambrano (1.47) take the mound and Walker would play with Kerry Wood (.73) and Mark Prior (.75) on the hill. With Walker having a small platoon split (he hit lefities to the tune of .276/.339/.431 in 290 at-bats from 2003 to 2005), this non-traditional platoon would seem to make more sense. Hope does spring eternal, and nowhere is that more true than in Florida and Arizona in early March. Here’s to the battles of spring.